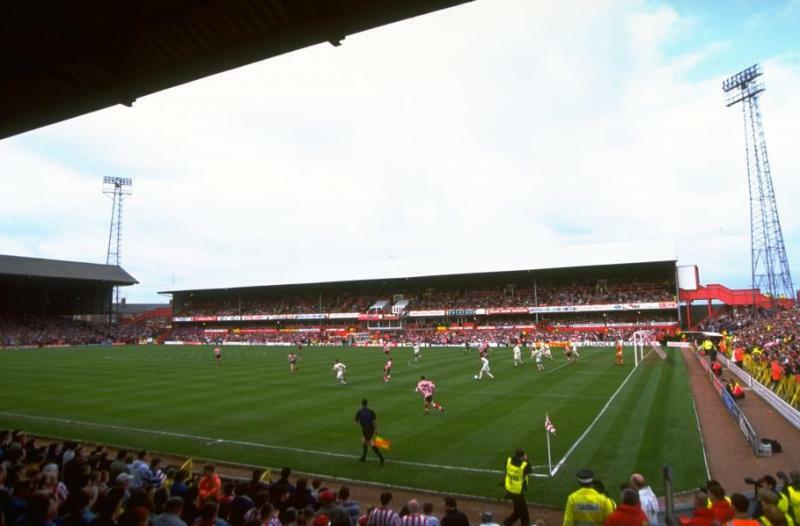 Roker Park was between 1898 and 1997 the home of Sunderland AFC. It was the successor of a site on Newcastle Road that Sunderland occupied in the late 19th century but which had quickly become too small for the increasing crowds. A site was therefore selected for a new stadium and on the 10 September 1898 Roker Park officially opened with a match against Liverpool (1-0). Further developments to the ground were made in 1912 when the Roker End was concreted. About 50,000 people could fit in the stadium at that time. In 1929 a new Main Stand, designed by Archibald Leitch, was built. 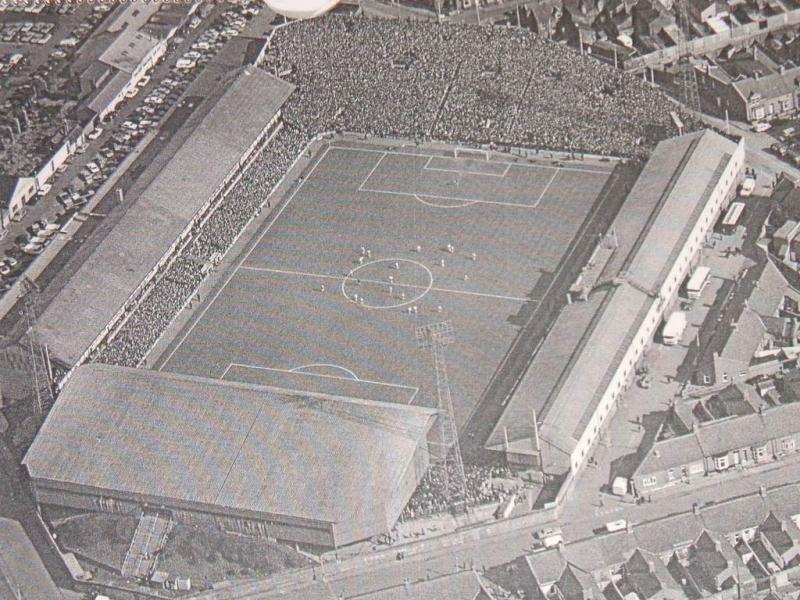 The official capacity of Roker Park in the 1930s was 60,000, however in March 1933 a record attendance of 75,118 supporters visited an FA Cup tie between Sunderland and Derby County. A few years later the Clock Stand was rebuilt. 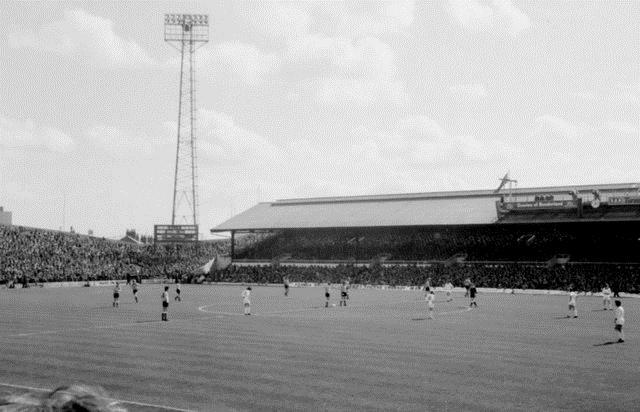 The ground got extensively renovated for the 1966 World Cup with seats installed at the Clock Stand and a roof added to The Fulwell End. During the World Cup three group matches and the quarter-final between the Soviet Union and Hungary (2-1) were played at the ground. Even though further improvements were made during the 1970s, the stadium gradually deteriorated and lacked any expansion possibilities being hemmed in by housing. In its latter years capacity was severely reduced to a mere 22,500. In 1996 construction started of the Stadium of Light at a site a few hundred yards away from Roker Park. 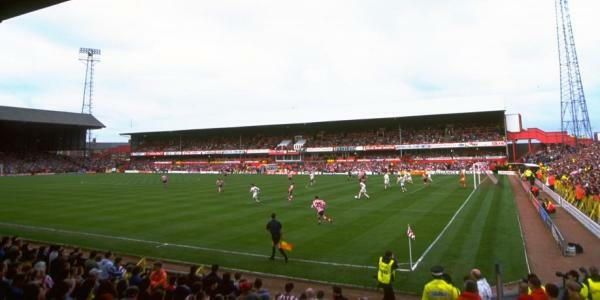 The Stadium of Light got completed in 1997 and Roker Park was subsequently demolished and replaced by housing estates. I saw Sunderland beat Sheffield united 4-1in 1965,with Jim Baxter and Charlie Hurley playing.Amazing atmosphere and fans.Even though I’m an Arsenal fan it left me with a soft spot for the club.I hope you stay up this year.PS,Charlie Hurley lives near me in Broxbourne.Small world eh? I am an avid Portsmouth fan and iremember going to roker park a couple of times in the 1980’s and the roker roar was special made a great atmosphere great memories. Having moved away from the N/E my visits were infrequent over the last few years, but the fondest memory was Gordon Armstrong’s headed winner against Chelsea in the Q/F replay, we eventually lost in the final to Liverpool , but the excitement that night was on a par with the 3-1 win in the cup against Man City back in 1973, night games were always special at Roker park the atmosphere was heightened and there were some great games over the years. Stan Cummins goal in the 1-0 derby win in 1980 was special, I’ve never heard the Sunderland crowd (roker roar) as loud as they were that day. Biggest disappointment was losing 1-0 to Palace in a cup Q/F in 1976 when our home record for that season was won 19 drew 2 lost 0. Never a dull moment, being a Sunderland supporter is something really special. Wherever life takes you , the first thing you do is look for the match result every Saturday. Howay the lads!! !